Hi there! 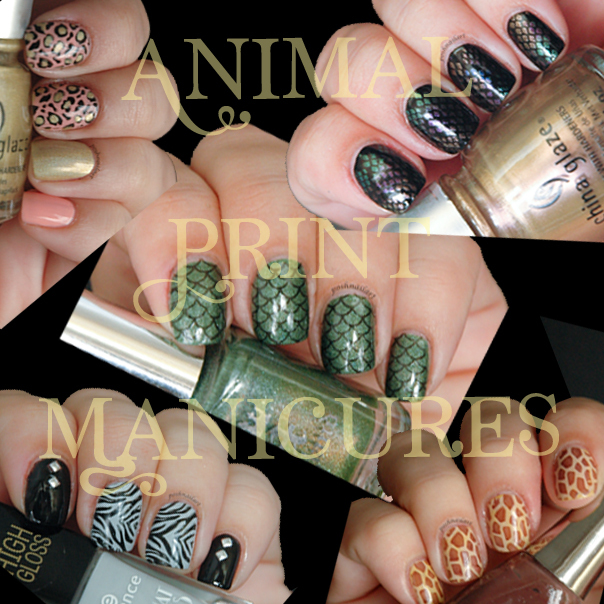 This is Aylin from Posh Nail Art and this month we are talking about Animal Print! 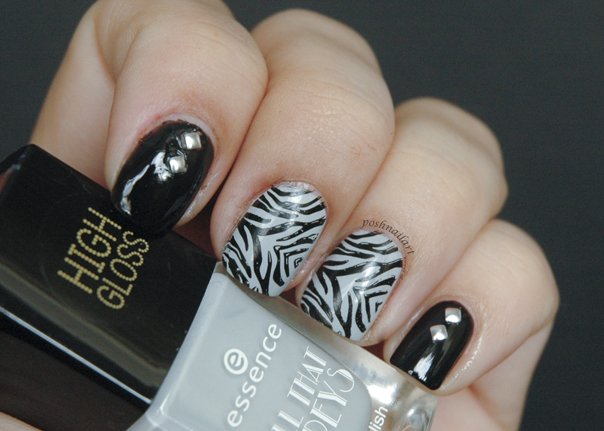 Honestly, while preparing this post, I realized how much I love animal print manicures. It was really hard for me to choose the color schemes and/or the patterns but finally I did manage to pick 5 manis I liked best which included lots of stamping. Without further ado, here are my picks! 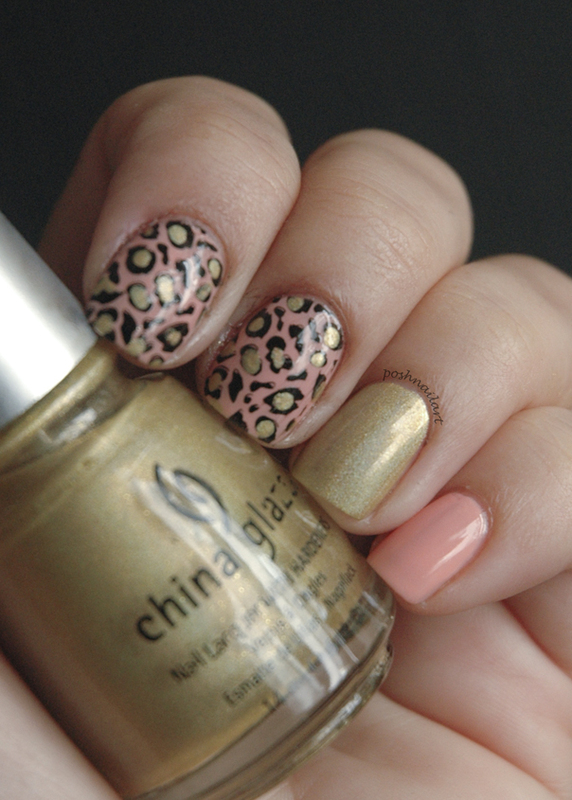 Let’s start with a leopard mani. This design is so versatile, you can use it with any color you want. Holos? Sure! Rainbow colors? Why not! For my mani, I picked a peach color with gold accents. 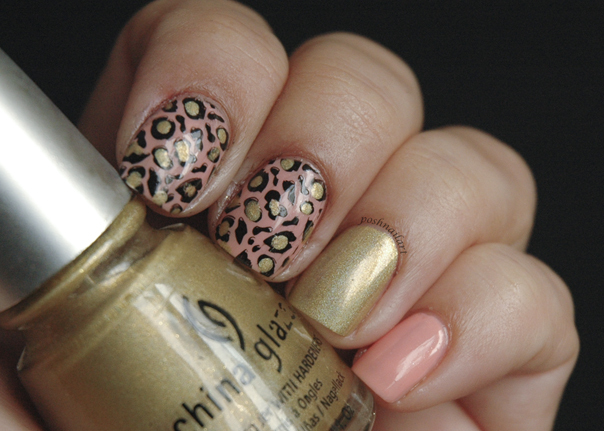 After stamping the leopard image, I used a dotting tool to fill the little cirles with gold color. Next, is a zebra mani. 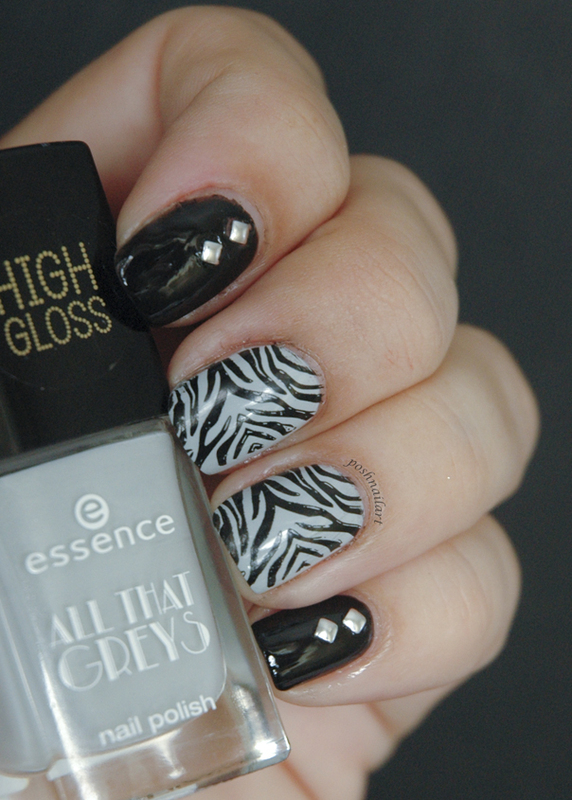 Again, the zebra design can be made with many colors but for my look, I picked black and grey. I added silver studs on the pinkie and index finger. Studs are usually placed over wet nail polish, but if you are harsh with your nails like me, they tend to fall pretty quickly. That’s why I prefer using a tiny dab of nail glue to hold them in place. That way I know that they’ll last the night. My third look raised a lot of interest. I was wearing this to the movies the other day and the barista at my Starbucks asked specifically how I did it. 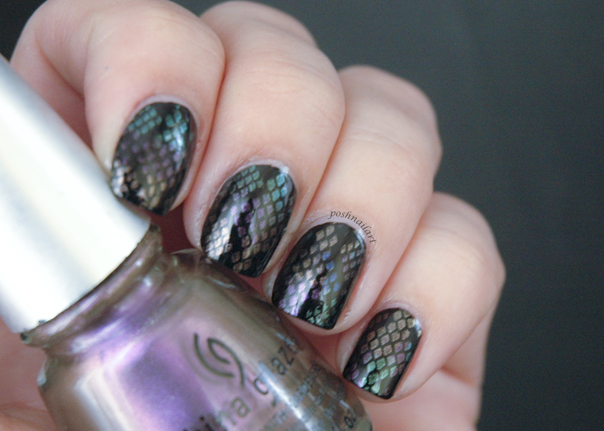 The image is the most used image among my nail art plates and it is originally a fish scale, I believe. 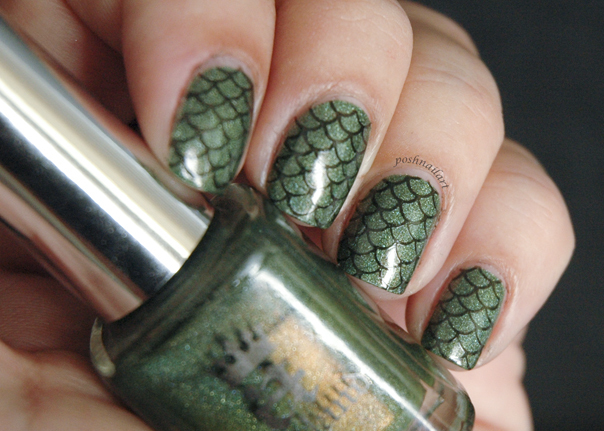 I have used it for various mermaid manis as well, but this time, it represents “dragon scales”. 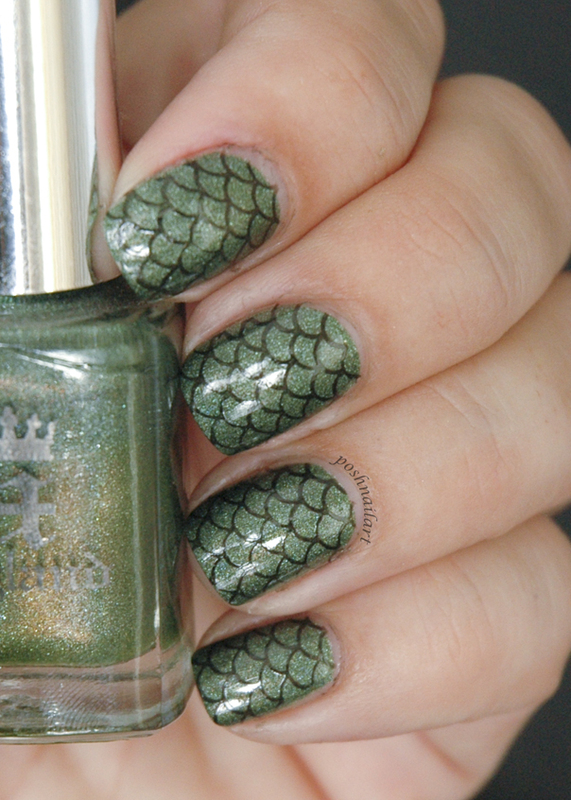 Because the polish I used underneath is my all time favorite green holo, A England’s Dragon. 🙂 My fourth look is the cutest. 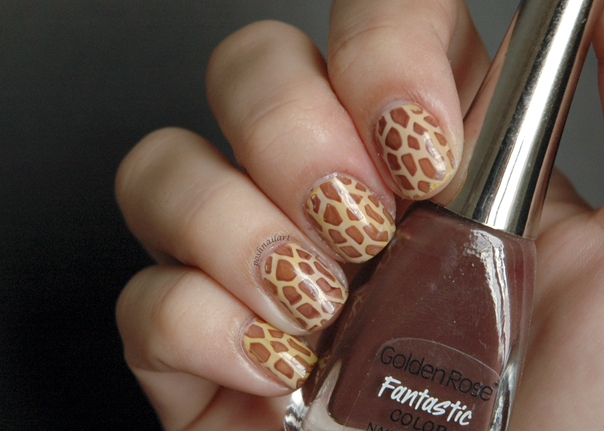 Because it is a giraffe mani! 🙂 This time, I picked the real colors for the giraffe and I really liked the outcome. I don’t know why but even thinking about giraffes makes me smile. Aren’t they the cutest animals? 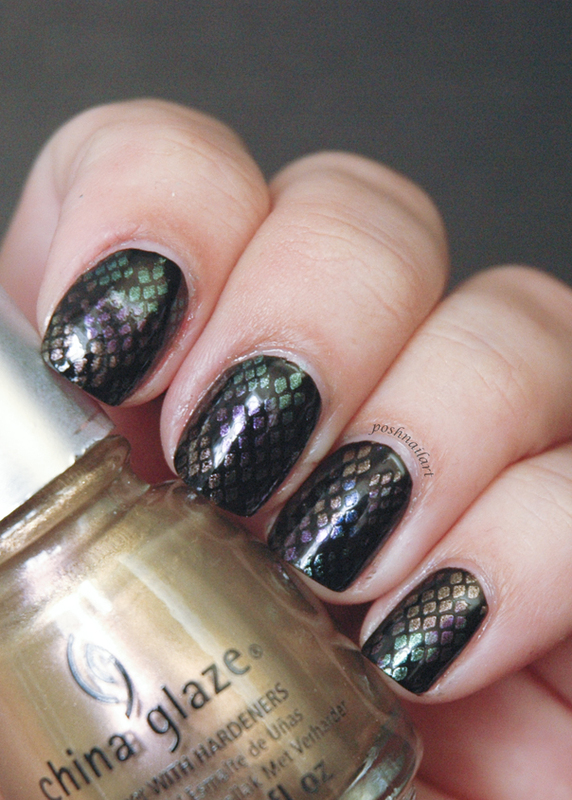 And last but not least, I have snake skin nails for you. For this mani, I used multicolor stamping, which is like regular stamping but with using more than 3 colors of polish. You just put different colors of polish on your stamping plate and then scrape it to blend the colors. It is pretty easy actually, and the results are amazing, so give it a try sometime. I have 4 different colors on this mani and they complemented each other beautifully. And that’s all for this month. 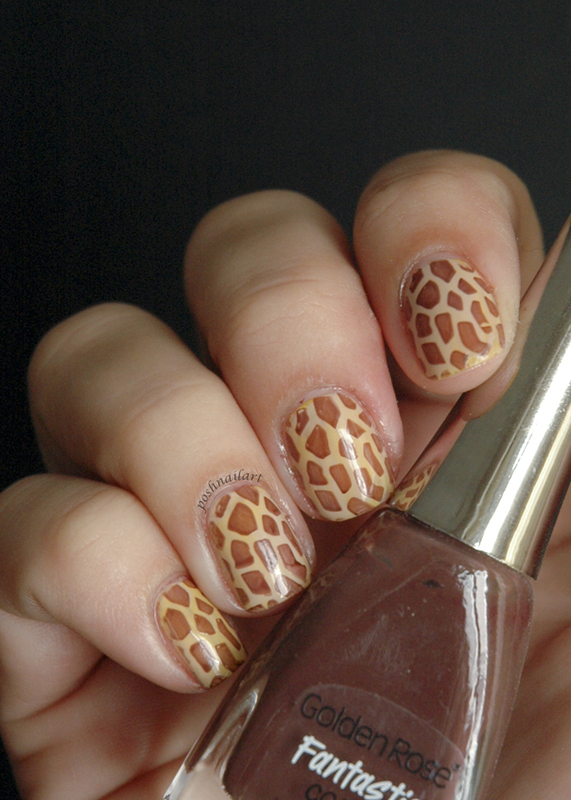 Actually I can go on and on about animal print manis because the possibilites are totally endless. 🙂 Untill next month, you can visit Posh Nail Art blog or my Instagram account for more ideas.